Max Resource Corp. [TSX.V: MXR; OTC: MXROF; Frankfurt: M1D1] is pleased to announce that, since January 30, 2019, the Company has received proceeds of $1,134,775 as a result of the exercise of 6,078,700 previously issued common share purchase warrants. As of the date of this news release, the Company now has 59,673,064 common shares issued and outstanding. The warrants were issued in connection with private placements and had exercise prices between $0.075 and $0.25 per share The Company intends to use the proceeds of the warrant exercise for mineral exploration and general working capital purposes. 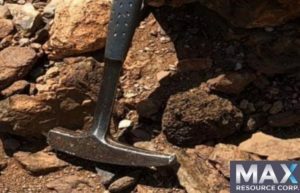 Max Resource Corp.’s focus is to explore and consolidate gold and platinum group mineral assets in the richly endowed Choco mineral district of Colombia.